Journey Into Oneness 1-2 p.m. 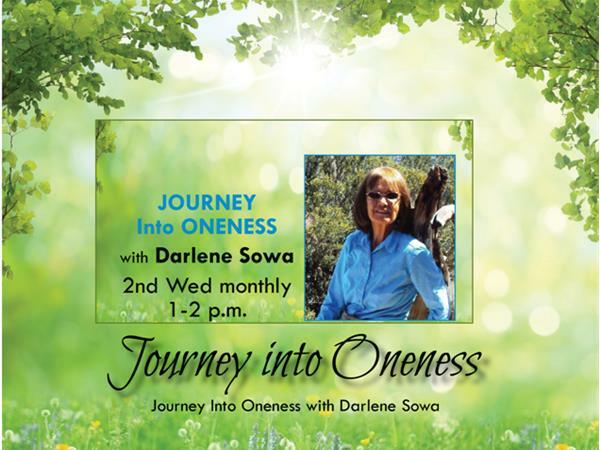 Journey Into Oneness with Darlene Sowa. Energy Medicine Practitioner, exercise physiologist, lifestyle visionary. Darlene shares ideas and tools to assist you on your journey to rediscovering your wild and authentic nature, as well as, the abundant nature of the universe. Monthly topics and a guest will help you navigate these ever-changing times with new insights, renewed hope, and empowering visions.